Sure, anyone can sweep the Mets, but the Washington Nationals — last year’s fashionable pick to win the World Series — look like the top MLB team out of the gate. The team that won eighty-seven games and didn’t even make the playoffs in 2013 still has the support of baseball writers and Vegas. Sports Illustrated chose the Nats once again to take the top prize, along with nearly half the writers at ESPN. Vegas says only one team has better odds of going all the way in 2014. Here’s why this year may belong to the Nationals. If you begin a rotation with Stephen Strasburg and Gio Gonzalez at the top, you have two starters that can neutralize any offense in baseball. Strasburg looks primed for an even more dominant year in 2014. Jordan Zimmermann is the team’s formidable third option in the early season. Then Doug Fister, who the Nationals got for a song from Detroit, enters the rotation around the start of May. This core four will put so many zeros on the board that it’s easy to see the bullpen staying fresh and the defense staying on its toes between nasty pitches. It’s the deepest rotation in baseball. Second baseman Anthony Rendon appears set for a breakout year, while Denard Span, Jason Werth and Adam LaRoche add the veteran presence. Then there’s the impact bats of Ryan Zimmerman and Bryce Harper, not to mention Ian Desmond and Danny Esponosa, who will see limited action. They’ll score plenty of runs for this pitching staff. But the Nats have the X factor any championship team needs. If every championship team needs at least one wild card (think: Mike Napoli, or Nick Swisher), the Nationals have two. 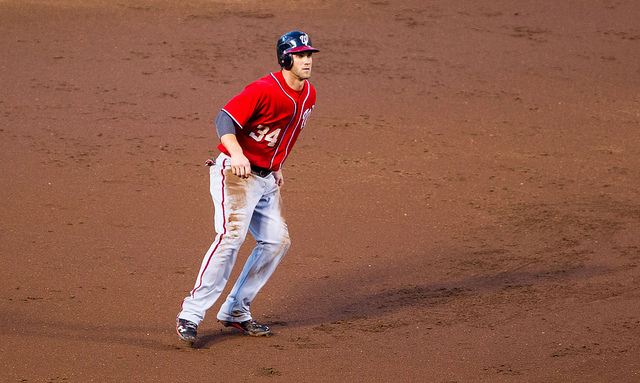 In Bryce Harper, they have a phenom, seat-filler, and villain wrapped into one brash package. Harper’s year may be arriving, even if Mike Trout is snatching most of the headlines. The Trout treatment might be good for Harper in the end. Another X factor for Washington enters when the Nationals hold a late-game lead: closer Rafael Soriano. The Dominican reliever saved forty-three games for the Nats in 2013 after saving forty-two for the Yankees in 2012. He’s one of the best and most underrated closers in the game, but he’s got a chip on his shoulder that tells you he knows how good he is. Bonus for the fans: After every save, Soriano rips his tucked-in shirt out of his trousers. Game over. 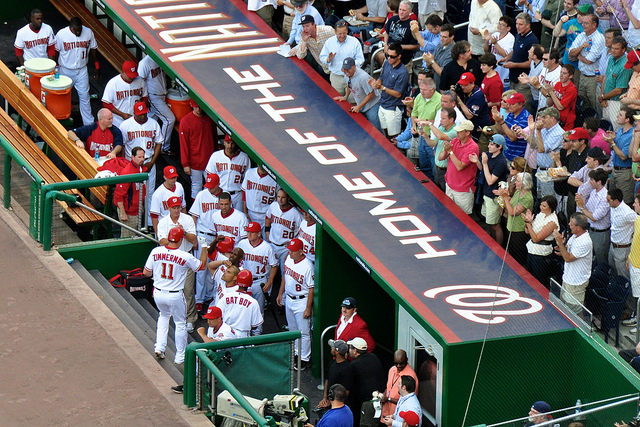 Sports writers loved the Nationals in 2013 but were dead wrong. The 2014 version looks primed to win the World Series. According to Vegas bookmakers, only the L.A. Dodgers (8-1 odds) have a better shot than the Nats (9-1).